In Melbourne, over 80,000 properties were vacant in 2014. What does this mean for the housing market? And a link to the publicly available original report called Speculative Vacancies, which has a lot more detail. 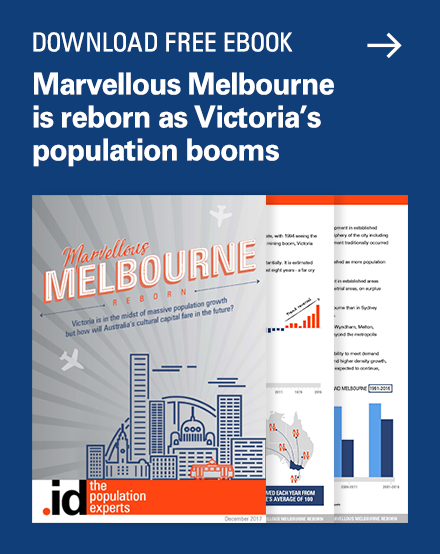 This study looked at metropolitan Melbourne, and found that 82,748 properties, or 4.8% of Melbourne’s housing stock was “vacant”. In the methodology of the study, this means using less than 50 litres of water per day. I found in the fine print that the average water use is 183 litres per person per day, which is interesting in light of my recent blog about my own water bill, making my family look quite frugal now! This seems like a fairly robust methodology to estimate the rate of unoccupancy, and I thought it would be worth comparing to Census data. After all, Census records whether each dwelling is occupied or unoccupied. For Greater Melbourne, in the 2011 Census, 8.6% of all dwellings were recorded as unoccupied on Census night. 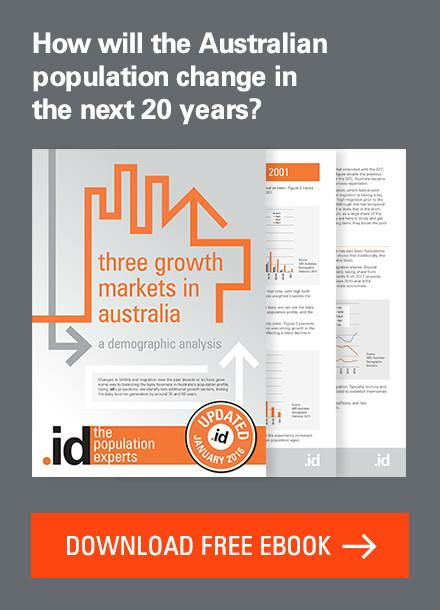 This is almost twice the rate found in the Speculative Vacancies study, but is below the Australian average of 10.6%. But, to be fair, the Census records unoccupancy on one night. This study is trying to show which properties are vacant for all or most of the year, by using water meter info averaged over a full 12-month period. In the short term, properties can be vacant due to the occupants being on holiday, or otherwise absent on the night, but usually home. The report suggests quite strongly that the long-term vacancies it identifies are due to land bankers, greedy property speculators and (the catch-all demons for all modern housing ills) negative gearing landlords. This is an ideological position, and the authors of the report don’t attempt to hide this. They use it to argue for a broad based land tax to replace stamp duty, which most commentators, including myself, agree with as a more equitable way to tax housing, and improve population mobility. But I don’t think that would make the vacancies go away. At any point in time, a significant number of properties are vacant medium-long term and this doesn’t necessarily have anything to do with speculative investment. Holiday homes – there is a good reason that the Mornington Peninsula (which is 100% contained within Greater Melbourne and is included in the data used in the report) has high vacancy rates. In the 2011 Census, 32.3% of all dwellings were unoccupied in Mornington Peninsula Shire, four times the metro average. Many of these would be occupied rarely enough to be caught by the report’s “Under 50 litres per day” net and deemed unoccupied for the year. Holiday homes are mentioned only in passing in the report. New dwellings completed but not yet sold may sit vacant for a period of time. Multiple dwelling ownership. Well off individuals may live out of town but maintain a “city pad” in an apartment block. Many of the areas identified with high vacancy rates are inner city areas like Carlton and Docklands, and this could account for quite a bit of the trend. It’s worth remembering that nearly 1/3rd of dwellings in Melbourne (31.5% at 2011) are fully owned by their occupants. Many of these full home owners are elderly, and when they die, these properties are often inherited by their children, who may keep them unoccupied for a period of time. Some dwellings are derelict and unlivable, waiting for demolition or redevelopment. People may go on long term holidays and leave their dwellings vacant. And then of course you have dwellings going through a sale process or genuinely available for rent but untenanted. These numbers would be small but still count. While I don’t have exact figures on these housing situations (the proposed new questions for the 2016 Census which didn’t make the final cut could’ve helped a lot), 4.8% doesn’t strike me as a particularly high vacancy rate to begin with, and I’d suggest at least half of it could be accounted for by the above. 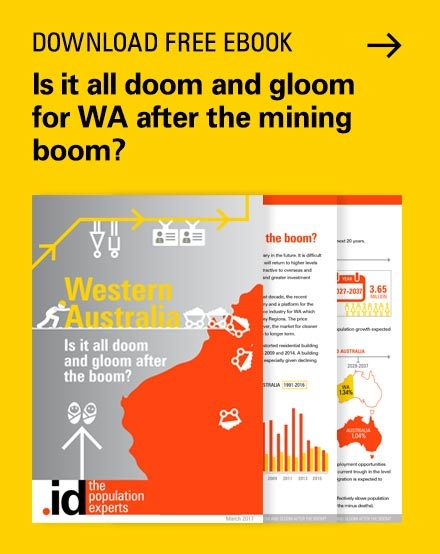 And while these reasons may well be considered a decadent overconsumption of housing, they are not associated with land banking or property speculation, which is the primary target of the report. 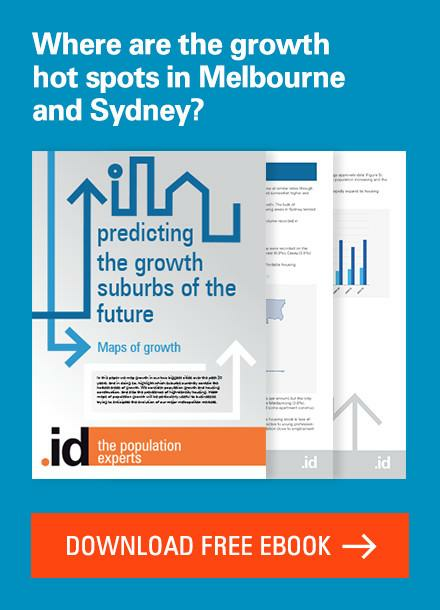 So while I think the methodology of the study is sound, the conclusion, particularly the outright statement at the beginning of the conclusion “Melbourne has an oversupply of dwellings” is not really supported. Even if all those dwellings are genuinely vacant and available for new residents, this would house only about 2 years worth of population growth for Melbourne at current rates. And there are numerous reasons why dwellings may be unoccupied. It’s also worth mentioning that the usual target of “negative gearing investors” have to lose money on property in order to get a tax refund, and that the tax deduction is only allowed if the property is rented out or available to rent. Keep your property empty and you can’t claim a deduction for the expenses, as it’s not earning an income. For this reason it seems unlikely that many of the empty dwellings would be recent acquisitions by investors taking out loans, but they might be people who’ve owned them for many years and have no mortgage, and therefore minimal expenses. Building approvals in Melbourne have increased in recent years in response to many years of demand outstripping supply. It’s quite likely that there is a short-term oversupply of flats in some parts of inner Melbourne, but at .id we don’t see any evidence of a general oversupply. The location and characteristics of vacant dwellings are measured in Census and shown in profile.id for your area. 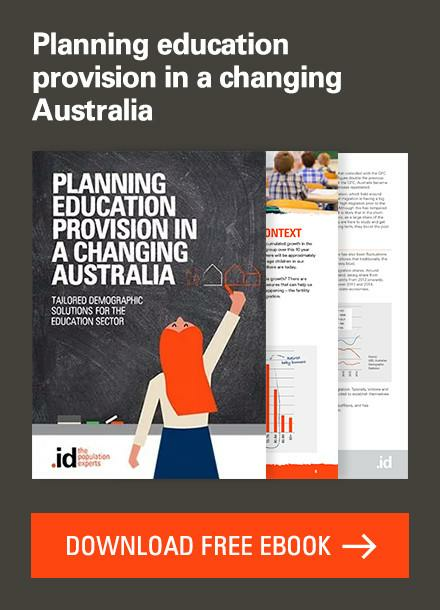 This is pretty important for councils providing services to these areas and understanding their rate base. Access our community profiles for more information. Some valid points there, Glenn, but I believe you underrate the stimulatory effect an all-in land tax or higher municipal rates could have on those people holding untenanted residential properties off the market for eventual capital gain, no matter how low their number. We are told the bubble in land prices is explained by a shortage of supply, yet holding costs are ludicrously low for those who are speculating on a rise in the capital value of their property. Shortage of supply was also held to explain rapidly escalating land prices in Southern California to 2007 for what in the event proved be enormous residential over-development. Many people miss the point that high land prices mainly reflect the excessive private capture and capitalisation of publicly-generated land rent. 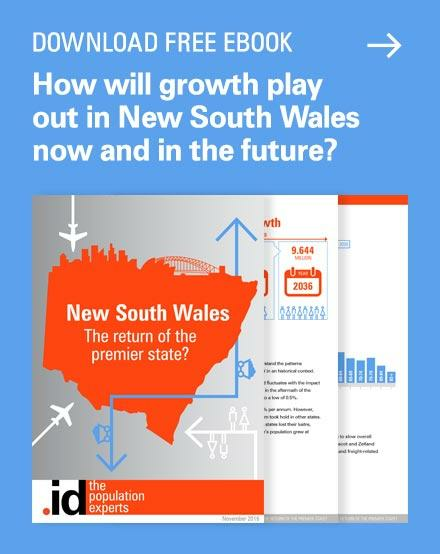 The last forty years has seen a winding back of municipal and State charges on land relative to other taxes, so it’s little wonder people see property as an excellent investment in view of the tax breaks (including the Whitlam government undertaking to pay half municipal revenue, more recently, the 50% of marginal tax rates on capital gains, negative gearing of real estate investment, the amount of self-funded superannuation going into property investment, etc.) The case Prosper Australia puts for greater land-based revenue, especially if it allows the abolition of stamp duty on property conveyancing, is pretty strong in these circumstances. I don’t really see the value in holding an untenanted property like that, when you could be getting rent from it. The only way I could see it happening is perhaps if someone inherited a place and delayed selling. If you’re getting a mortgage surely the holding costs would be too high? As I said I also don’t think a 4.8% empty rate is all that high given the myriad ways that could be made up, including holiday homes. I agree with the argument for land-based taxes in place of stamp duty, as it broadens the tax base and encourages more labour mobility. I just think that getting that conclusion from this data is a stretch. The 50% discount on capital gains is often quoted, but what’s not usually mentioned is that for long-term investors it’s often worse, as the ability to index gains to CPI and only pay CGT on “real” after inflation gains has been removed. As for negative gearing, I think a few people do get sucked into paying too much for property in some cases – you just have to look at the rental yields. It’s worth remembering that if it’s negative geared it’s losing money, and future capital gain can’t keep going forever to pay for that, as it would require continually declining yield. But owner-occupiers are just as guilty of over-paying for property at times, as they are less likely to see it as a purely business proposition, and more likely to have an emotional attachment. And as I mentioned, negative gearing doesn’t apply to dwellings left vacant if they’re not actually available to rent. None of the costs can be deducted. Yup – rental yields currently as low as 2% gross in parts of Melbourne (i.e. only 1%+ net) is confirmation a bubble in residential prices exists, and that prices and yields must revert to long term averages at some point. That has to entail financial and social strife, again – sooo repetitive! I just discovered this blog. Excellent. In your opinion, is there a big “overhang” of empty properties that could be dumped in a downturn, crashing home prices? Yes, I saw that piece in the SMH. In many ways it’s not as well researched as the Melbourne one I commented on in the blog. 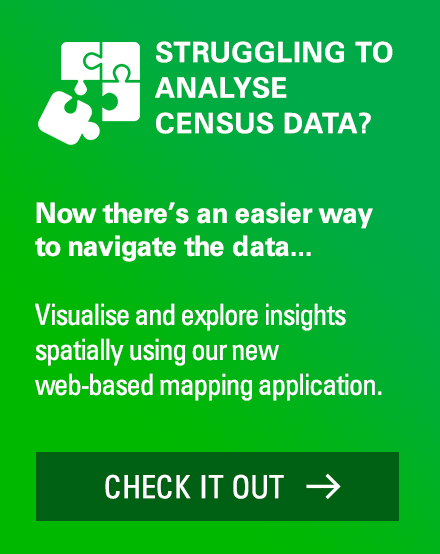 They are primarily using Census data as an indicator of unoccupied dwellings, and that’s fraught with problems – Census is one night, and in 2011 many people were overseas on Census night, particularly from well-off areas – the Australian dollar was over $1.00 US at the time (ah, the memories…). So they aren’t vacant long term, just on Census night. Also in affluent areas of inner Sydney, many well-off people maintain a “city pad” and a regional property, and keep it vacant, when they are not there, adding to the numbers. Many of these have been owned outright for a long time. Also the insinuation (mainly in the comments) that negative gearing is to blame is completely false – you can’t negative gear an empty property unless you’re actively trying to rent it out at market rates. On balance, no, I don’t think there is a big overhang of dwellings that are likely to be dumped in a downturn. That’s not to say there may not be some short-term oversupply, with a lot of apartments currently under construction. Nor that house prices couldn’t fall a bit. They could, but without a very big increase in unemployment, and interest rates simultaneously, I don’t see an across-the-board crash happening any time soon. Australians will just hold on to property if the price goes down a bit and wait out any downturn. Next story Can the history of Rockingham help us understand the future? 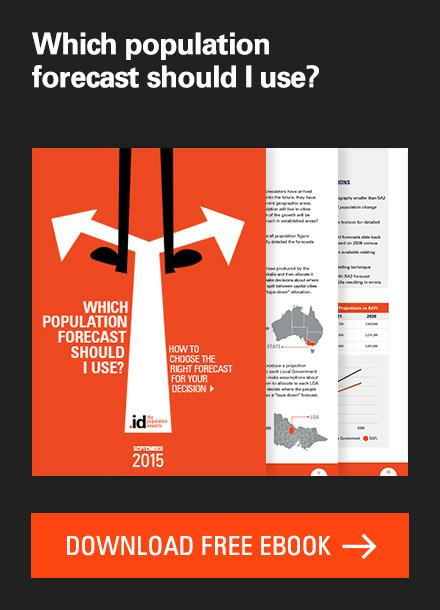 Previous story Tourism – Visitor Survey data now live in economy.id!